The new generation of students are revelling in the well-being and social aspect of their spaces – and therefore when it comes to graduating, and finding a job, money is no longer the only end goal. Generation Z desire a workplace environment that is open, bright and flexible – where private spaces sit alongside meeting pods, collaborative breakout spaces, and communal kitchens and dining areas. 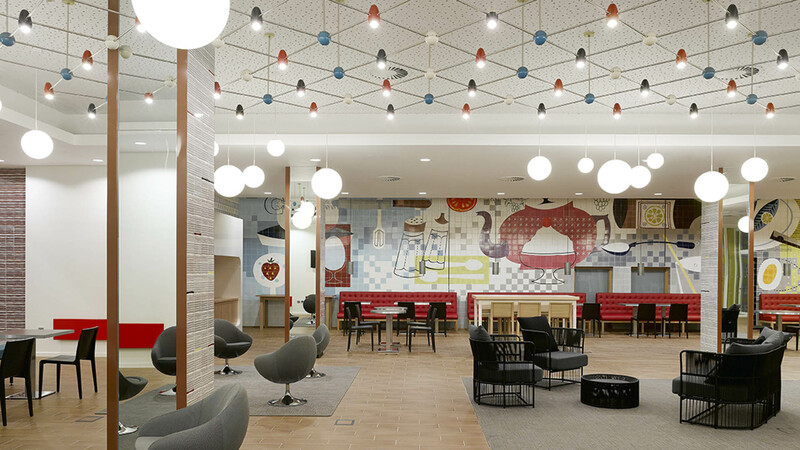 As an interior designer working across the higher education and commercial sectors, I have seen a shift in – and been a part of – how student accommodation and university design is shaping the office of the future. Following the likes of Google, Uber and other contemporary brands, organisations are increasingly recognising that they need to create aspirational, creative and collaborative work environments to attract the top talent, as this is what generation Z has come to expect while both at university and in their social lives. Higher education these days is big business. Not so long ago, student accommodation was accepted as a fairly basic standard of living. The shared element came from the idea that students were all ‘in it together’ – an understanding that they would have to share communal bathroom, washing and dining facilities, and in some cases even shared bedrooms. This no longer fits the social media generation, hence the huge increase in new build apartments with state-of-the-art facilities. ‘Acceptable living’ has become ‘aspirational living’ as universities are investing in and diversifying their accommodation stock in order to attract students. Across the board, from redbrick universities to former colleges and polytechnics, institutions are realising that it is not just the quality of the course, but the quality of facilities, living and socialising that draws in students. 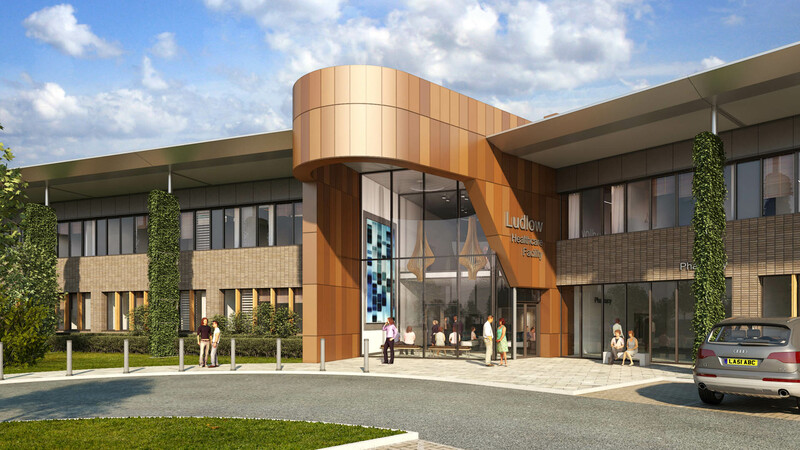 Some examples that AHR has worked on include a social spaces project for UCLan, where key design features will include glass roofs, an indoor garden and moveable furniture to allow students to reconfigure the space to suit their needs. Our recent design for the University of the West of England’s new engineering building, centres around a large multi-layered atrium which acts as both breakout and project space with open workshops, so students and staff alike can collaborate and observe. To help support the various activity spaces we have created a grid-style system, with a series of segments catering to different needs. Borrowing from furniture company Herman Miller, and using some of my own ideas, we named these segments Workshop, Enclave, Haven, Discussion, Meet, Touchdown and Chatter – each with its own distinct look, furniture and seating format. 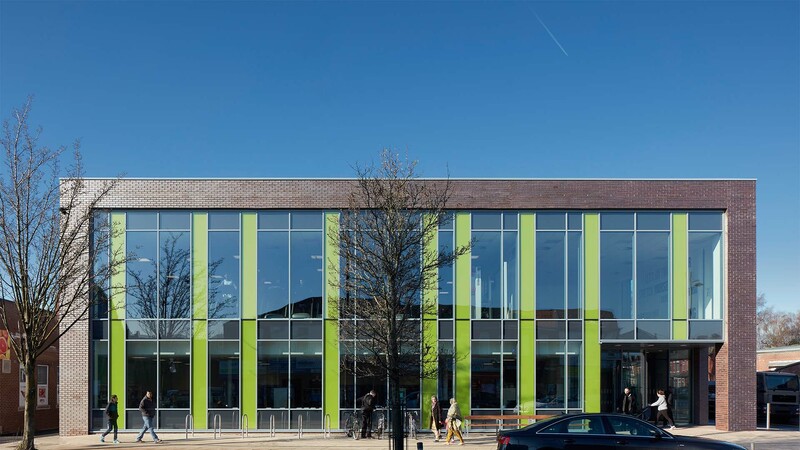 At Storthes Hall Park Student Village – part of the University of Huddersfield – our design featured an on-site gym, bar, mini-market and car parking. 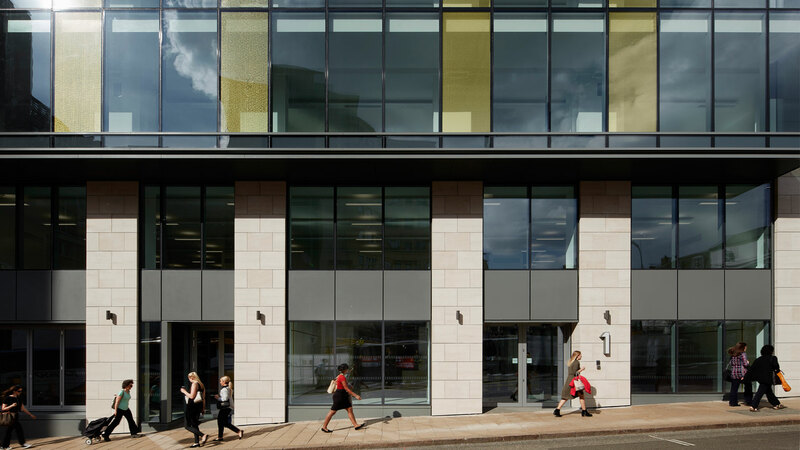 The village may be five miles from the city centre, but it has its own sense of place with everything a modern student needs on their doorstep, including high quality WiFi throughout. I mention WiFi because over the past 10 years, the boom in social media has led to a sea change in the way that accommodation is viewed by prospective students. Most young people have access to mobile technology (usually both phone and tablet) and they subscribe to a wide range of websites and apps that exist solely to encourage the sharing of information and lifestyle choices. Whether it be Twitter, Pinterest, Instagram or Facebook, young people have access to, and participate in, social media sharing 24/7. This attitude towards sharing, and to achieving, an enviable ‘insta-lifestyle’ has seeped into every facet of modern living. Student accommodation is no exception. Generation Z is accustomed to a high-quality of living that supports sharing, socialising and collaboration. 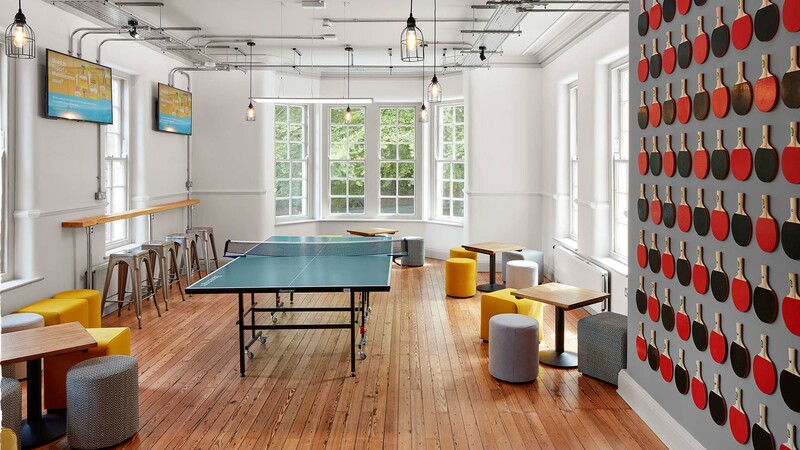 Instead of a basic communal kitchen or campus pub, they want bright, exciting spaces on their doorstep – private cinemas, gyms and cafes with breakout meeting spaces. Students are even requesting private dining spaces that they can invite friends and family to, to further showcase their lifestyle. By embracing these environments and supporting mental and physical health and wellbeing, universities stand a far better chance of attracting talented young people. As an interior designer it’s an incredibly exciting time to be working within higher education. By working directly with students and staff we are able to be at the starting point for new ideas and technologies, always on the edge of new trends and working behaviours. However it’s not just them informing us – we as designers also have the opportunity to put new ideas out there, with universities excited to have the next new thing or unique selling point.